So, as promised, in this blog, I wanted to cover some helpful tips to look for when reviewing or creating your paid campaign on Google so that it can truly benefit your business. I opted against a step by step on setting up because that could go on for days so I decided to touch on some of the issues that I see in campaigns that come to me, after it was set up. Besides, chances are most people reading this will fall in the “I’ll pay someone to do it” or the “DIYer” category. So those DIYers need this part more than the basic set up as they are savvy enough to follow the set up prompts, right? Now remember, this is not one of those things that you can just set up and walk away from and any well run campaign will take a lot of massaging for at least the first few months then less as you fine tune it. What you will find out from it will help you with other parts of your marketing efforts as well. 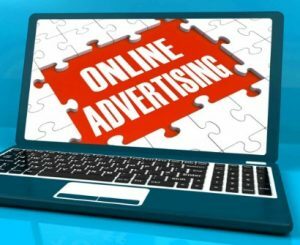 You will be able to tell what kind of people are clicking on your ads, where they are coming from, which keywords are clicked on, which keywords are more popular and the like – don’t you think that could be useful? Start with the search network only then work your way out to display network and further fine tuning. Remember that you usually start more general and as you test you are able to refine and get more specific and hopefully better click through at a lower average cost per click. You may want to consider setting up several campaigns based on the types of products and services you provide. Consider you have 5 products and all are on the same campaign; but one is selling better than others and thus eating up all of your budget; having a separate campaign will enable you to set a daily and monthly budget for each of those products and services allowing for the other (not top product) to spend and see click through. This also gives you the ability to massage each campaign independently as opposed to the top clicked product. Use the display URL to customize your URL to help show the consumer that you are directing them to a specific landing page that is about their search. Remember there is a character limitation here also so you may want to play with it a little. On that same note, be sure you direct the consumer to the landing page that relates to the keywords – preferably not the home page so the keywords for that URL above would be ‘life coach’, ‘business life coach’, ‘personal life coach’, ‘coach for life’ or the like. Keep an eye on the quality score – it is usually an indication on the quality of your ad, your keywords, your landing page and your bids. If they are low, you should be revising your campaign. One such revision on a low quality score keyword would be to move it or create another ad group with those keywords in the ads and/or a better landing page that relates specifically about that keyword. Run two ads for every ad group. Watch these two ads and after a set amount of time (depends on the amount of click thru) pause the weaker one and create another one. Don’t you always want the best ads out there? If you have an ad that isn’t being well received, try another one. The idea is to constantly be improving your campaigns for better and better click through. I could go on and on with the different things (search query reports, times of day or week, reviewing data, changing bids and etc) that needs to be done on a paid campaign, but those should get your juices flowing and hopefully your brain thinking differently. Based on some of the comments on the Part 1 of this blog topic, many of you have spent too much money on a campaign most likely because you were running it blind. Others may be gun shy because you have heard the horror stories of paid campaigns. You can easily throw money away if you don’t know what you are doing. However, a properly set up paid campaign WILL drive traffic to your website. It will be up to your website to keep them there with good information, easy to follow navigation and the like, but it will drive traffic if you take the time to plan and set it up properly. If this still isn’t your thing but I have given you that interest to get out there, let me know and I would love to help set up and run your PPC campaign. It can be very valuable to your business and I love to help businesses grow! Contact me and let me know how I can help. Please let me know what was the most valuable nugget of information you took from this post, I’d love to hear! Setting up multiple campaigns to see which one does best is a great idea. Sometimes, the one you think is best ends up performing the worst. So it’s good to have other options out there. Plus, it shows you what your clients and prospects will respond too. I’ve had the nightmares in the past with PPC campaigns until I got a better handle on them. Yes, in some cases you DO need to pay to play, but it can really work out in your favor. These are really great tips on how to get going. Like you said, that keyword research can really make a difference in the activity that you get. Gotta say the right thing for people to click it! Nightmares huh? That’s sad Heather! lol But glad you got better at them. Glad you liked the tips! Wow…thanks for the shout-out, Kristen! I’m so glad to have you at my side…and covering my back. Highly recommend you to anyone who is interested in taking their business to the next level. Great information, Kristen! I don’t have a lot of experience with campaigns, but between your two part series, I have learned a lot! Will definitely be back to review again once I’m ready! Thanks! So glad you have learned a lot Melissa.. and thanks for sharing! Let me know if you need help. Thanks for your series. You’ve covered a bunch of things, written in an easy to understand way. Makes it seem more approachable. So glad you found it easy to follow and understand! Thanks! You’ve outlined some great tips and information here Kristen that we can refer to if we decide to utilize PPC campaigns. Great series, thanks for sharing! Great tip in terms of setting up several different campaigns to test which is working better. Smart. Thanks for sharing some easy to follow tips that can help with PPC. I really like your suggestion about running 2 ads to see which is more popular. Great information thank you for this.